Tasting Note: A fine, handcrafted single barrel whiskey with a robust flavour and Jack Daniels smooth charcoal mellowed character. Due to the subtle differences in each barrel selected by master distiller Jimmy Bedford, each bottle is hand labelled with rick number, barrel number and bottling date. 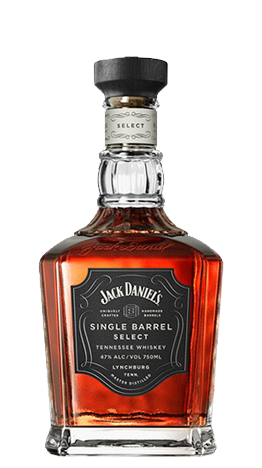 Jack Daniel single barrel is bottled at 45% alc/volume.